We often fail to realize that one of the very best ways we can make Kingdom leadership better is by being better followers. Kingdom leadership means that leaders will have to answer to God for how they have led. Kingdom citizenship means that we will be held responsible for how we have obeyed and blessed our leaders. What have you done to show your love, respect, and support for your church leaders lately? Almighty King, all authority and dominion belong to you. You alone are worthy of power and the right to rule. 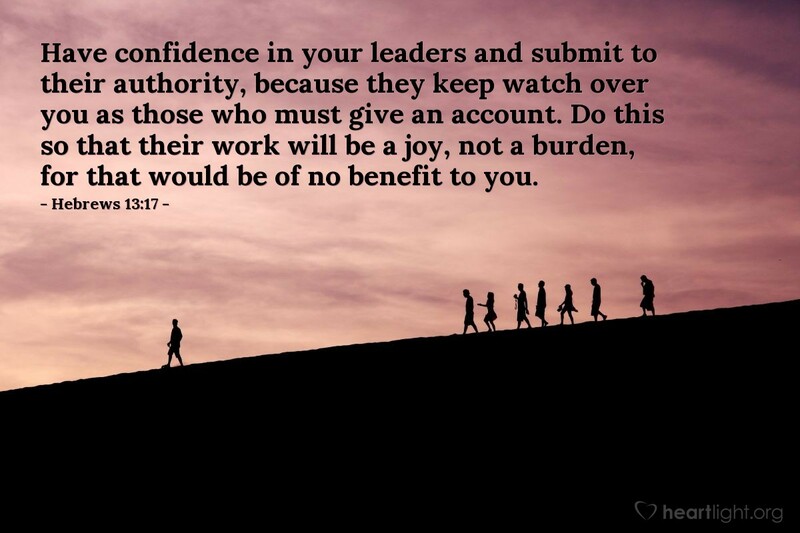 Please bless our leaders at church that they may lead by serving and following Christ. Please empower me to follow their leadership in ways that exalt the cause of Christ and bless the leaders in your Kingdom. May my life never be a burden to them or an embarrassment to you. In Jesus' name, I ask it. Amen.